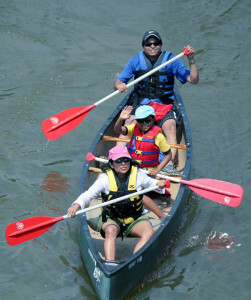 Join us on the Delaware River NJ for a fun and relaxing day of canoeing. Canoe with friends, or family. Our canoes fit 2 adults and 1 small child. Paddles, life jacket and whistle included. and last 2 1/2 to 3 hours paddling straight through. Canoe rentals are by reservation. We may be able to accommodate walk-ins. Please call ahead first.